Personal debt has a nasty habit of spiralling out of control. When the situation becomes impossible to manage and the cost of servicing the debt is outstripping income, remedial action needs to be taken. We regularly assist accountants with personal insolvency matters, particularly with more complex cases or instances where personal insolvency is a result of a failed business. When the threat of personal debt comes hand-in-hand with limited company issues, perhaps through personal guarantees crystallising for example, we can provide assistance with both issues helping you provide a comprehensive service offering to your clients. When it comes to personal debt problems matters are rarely simple and there is not a one size fits all answer. There are a range of debt solutions available including DROs, DMPs, IVAs, and bankruptcy should all else fail. The most appropriate solution depends not just on the level of debt, but also on your client’s ability to repay this sum. Consideration also needs to be taken of whether your indebted client is a homeowner; if so the options will be different to those without a sizeable asset to protect. Good advice is paramount at this stage as the aftereffects of entering into formal insolvency proceedings can be serious and long lasting. We can talk to your clients about the various debt solutions on the market and ensure they understand the pros and cons of each one. We will advise them on the most appropriate options based on their individual circumstances and their future ambitions both on a personal and limited company level. When handling insolvent clients it is important you have someone you can turn to if you believe specialist advice is required. Of course before you refer a client you need to be confident that they will be in good hands and dealing with a trusted professional with their best interests at heart. 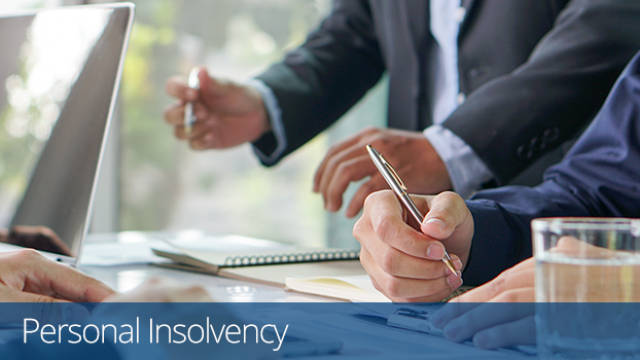 As part of Begbies Traynor Group, we are a leading insolvency firm with decades of experience helping both businesses and individuals dealing with insolvency. To learn more about how we can help your insolvent clients, or to arrange a meeting with your local partner, contact our team today.